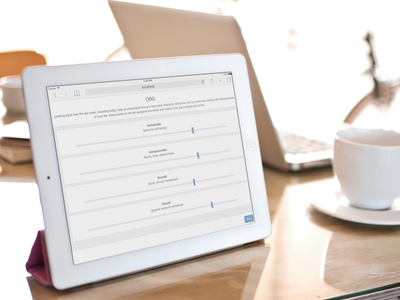 FIT-Outcomes is a web-based outcome management system designed to support the use of the Outcome Rating Scale (ORS) and the Session Rating Scale (SRS). 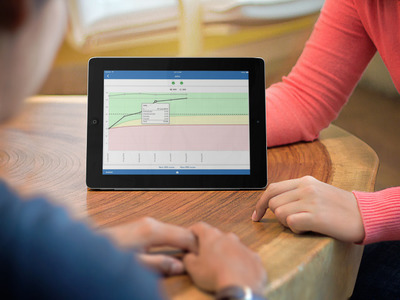 With FIT-Outcomes it's possible to administer the scales online and get instant feedback. This allows you to use the system for ongoing quality assurance of the services delivered and for ongoing treatment adjustment to ensure the maximum benefit of the treatment. FIT-Outcomes calculates the most important outcome data giving you access to the numbers or graphs. This makes it possible for single providers or agencies in the private or public sector to document the effect of the services delivered. Your client data is secure with FIT-Outcomes and we're fully GDPR (EU's general data protection regulation) compliant. The FIT-Outcomes web app runs in all major browsers: Chrome, Firefox, Safari and Internet Explorer version 9 and above. Because of the responsive design, using FIT-Outcomes from mobile devices (e.g. iPad/iPhone and Android phones and tablets) works extremely well. FIT-Outcomes uses the latest algorithms developed by leading researchers in the field. The algorithms are developed based on a sample of 427,744 administrations of the ORS, in 95,478 unique episodes of care, provided by 2,354 different clinicians. 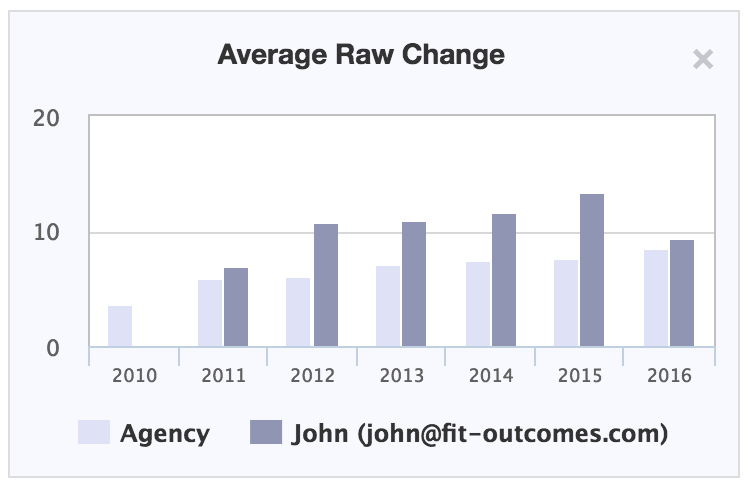 In FIT-Outcomes the trajectories are produced immediately after filling out the first ORS making it possible for clinicians to have a transparent conversation with the client about the system feedback. Calculate real-time statistics and chart them based on various filters. As an alternative (or supplement) to the full-featured website, we also offer a simplified version of FIT-Outcomes for iPhone and iPad. The FIT-Outcomes Companion is on the Apple App Store. Visit our blog blog.fit-outcomes.com to get all the latest news on Feedback Informed Treatment and FIT-Outcomes. Visit our API documentation to learn how to access FIT-Outcomes through our API, making it easy to integrate third party software or write your own tools. Pricing starts at EUR €134 per year for a single user license. There are no start-up fees nor limits to the number of clients you can have. Please email us for details on mass discounts. Sign up here or write us an email to get a free two month trial of FIT-Outcomes. If you decide that you want to stay with us, we'll simply upgrade your account to a paid subscription. You won't lose any data.